A water-borne urethane alkyd based top coat for detached and fixed furniture indoors and outdoors. Teknos Futura Aqua 20 is a water-borne urethane alkyd based top coat for detached and fixed furniture indoors and outdoors. Teknos Futura Aqua is suitable for indoor use on primed and previously painted with alkyd paint painted wood, metal and building board surfaces: doors, uPVC, window casements, kitchen cabinets, mouldings, panels, panel ceilings, air ducts, staircase railings, radiators and piping systems.It is also suitable for plaster and filler surfaces primed withTeknos Futura Aqua 3, for example window sills and casings, and wall surfaces in special objects, e.g. staircases. When used externally Futura Aqua 20 is suitable for painting primed window casements, doors, garden furniture etc. Clean new surfaces from dust and dirt. Wash previously painted surfaces with Teknos Rensa Super paint cleaner. Matt down hard or gloss surfaces by sanding and thereafter remove the dust. Smooth any irregularities in the surface with Teknos Silora A carpentry filler. Wood, wood fibre board and building board surfaces as well as galvanized metal surfaces should be painted with Teknos Futura Aqua 3 Primer. Rusting steel surfaces as well as aluminium and copper surfaces are primed with Teknos Ferrex Aqua anti-corrosive paint. Before use stir the paint thoroughly. The paint is thinned with water 5 - 15 % by volume when needed. 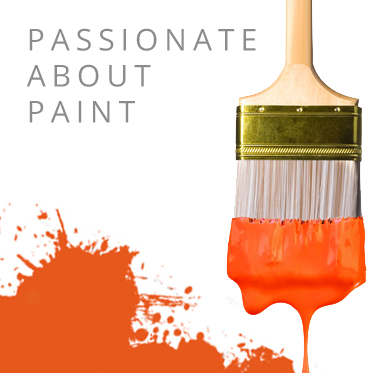 Apply the paint once or twice with a varnish brush, mohair roller, painting pad or spray. When painting a smooth surface, e.g. flush door, the marks left by a roller may be smoothed down with painting pad or with varnish brush. Airless spray nozzle 0.011 - 0.013''. VOC Content: EU VOC limit value (kat A/d): 130 g/l. The product's VOC: max. 130 g/l. Application Method: Varnish brush, mohair roller, painting pad or spray. Fully Cured: After 2-3 days at 23°C - The drying will be slowed down if the air is cool and/or humid.